in the immediate vicinity of the popular seaside resort , well served and equipped during the summer season , also in the vicinity of the centres of Capoliveri and Porto azzurro , located on the first floor of a small building , comfortable apartment, two-roomed apartment internally comprises entrance hall , living room with kitchen , double bedroom and bathroom with shower ; renovated ; air conditioning hot / cold , through the n° 2 heat pumps, large terrace, located on the back of the property ; the possibility of parking at least a car , in the below parking area ; no expense of the condominium ; excellent investment for the realisation of income from summer rentals. in exclusive location , within a small and quaint condominium is in close proximity to many famous seaside resorts , also in the vicinity of the center of the village and all amenities , large three-roomed apartment internally comprises entrance hall , living room with kitchen , double bedroom , second bedroom , bathroom with shower , second bathroom with shower and a further small kitchenette ; terrace frontistante the living room with views of the sea and , a second smaller terrace on the back of the property in question ; good state of the interior thanks to a recent restoration made from the promisor the seller ; expenses, ordinary quantized in about € 1.400 / per year ; possibility of parking at least a car on the inside of the joint court of the condominium ; thanks to its characteristics the property in question lends itself perfectly to being used as the first residence to live throughout the annual period ; or as a second home for your vacations , even as an investment for the realisation of income from summer rentals. CAPOLIVERI: Zuccale in town, for sale villa situated on two levels, for a total of m, q 150. This comprises: living room, kitchen, 4 bedrooms, 3 bathrooms, terrace and garden. CAPOLIVERI: in the immediate vicinity of the popular seaside resort, just steps from the beach and three kilometers from the town center, comfortable one bedroom apartment inserted in a small building complex with no expenses and, all 'inside of a beautiful setting of privacy and confidentiality, internally It comprises entrance hall, living room with kitchen, bedroom and bathroom with shower; outdoor living terrace and allocated parking space in the vicinity of the property; good opportunity to be used as a summer residence or as an investment for income gains or losses realized by summer rentals. 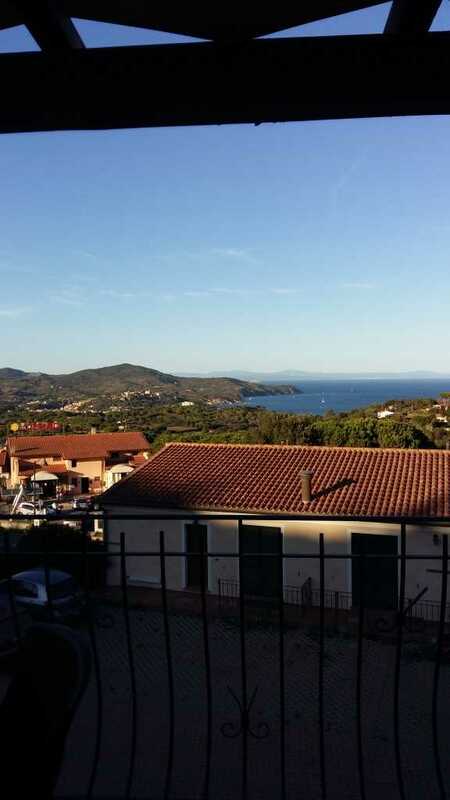 CAPOLIVERI: A short walk from the picturesque center of Capoliveri, convenient to all amenities and with stunning views over the bay, the house has excellent finishes and quality materials furnished areas. Beautifully furnished, it accommodates 6/8 comfortable beds. It consists of living room with kitchenette, two bedrooms and bathroom. 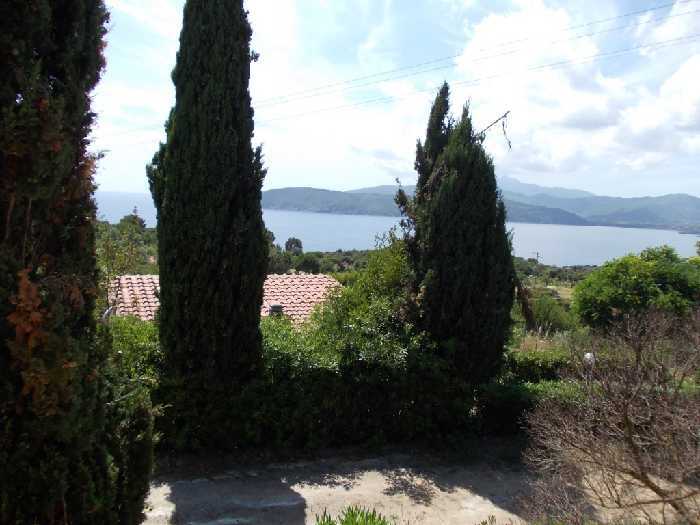 It also has beautiful pranzabile terrace with stunning sea views. Car ownership. 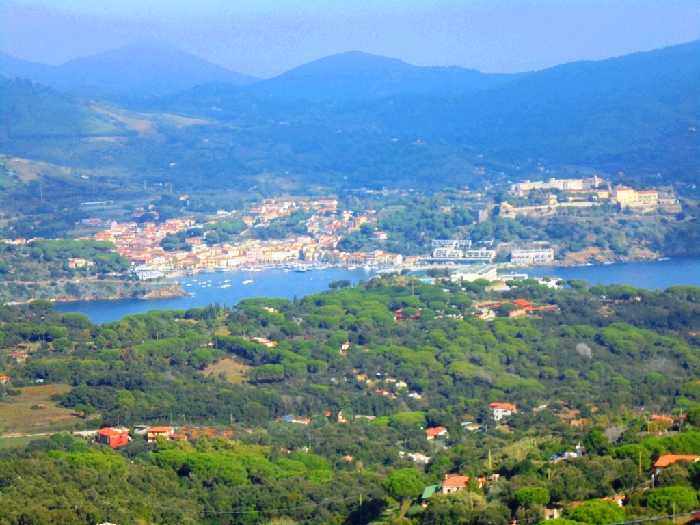 CAPOLIVERI: sale villa of 150 square meters located in the hills with sea views over the Bay of Porto Azzurro and Portoferraio. Internally comprising ground floor: large living room with kitchenette. Two bedrooms and bathroom with tub and shower. Small box of 20 sqm adjacent to the villa from the lower floor via an internal staircase leads to the first floor consists of three bedrooms with bathroom. panoramic sea view terrace. First floor unfinished The property includes 1,800 square meters of garden. Possibility to build a swimming pool. Excellent state of construction. gas central heating. CAPOLIVERI : in a unique location in the immediate vicinity of the sea , inside the quaint seaside town and in the cool mediterranean , a comfortable apartment inserted inside of a small complex of five units that are internally composed of entrance , living room with kitchen , double bedroom and bathroom with shower ; adjacent to the property the property the project is currently in initiation phase , for the realization of an extension of the living area with the expected hall - living room / living room room, view and bathroom, beautiful terrace overlooking the sea ; free from expenses of the condominium with the exception of some small expenditure management of the few public areas ; assigned parking ; thanks to its characteristics, the subject matter lends itself perfectly to being used as a second home for your vacations , in the alternative as an investment for the realisation of income from summer rentals. CAPOLIVERI: With sea view, independent entrance with small garden and two steps from the center, terraced house on two levels of recent construction. The house has a total surface of 115 sqm and is on the ground floor composed by living room, kitchen, bedroom, bathroom, laundry and terrace. To the first floor there are two bedrooms, bathroom and terrace. Sea view and parking place. Excellent finishes and materials used. CAPOLIVERI: in the historical centre, with easy access, for sale apartment of about 35 sqm, internally composed by a unique room with loft, kitchenette and bathroom. The property recently renovated. CAPOLIVERI: all 'inside of a small condominium complex sale apartment of 40 square meters. The property comprises: living room with kitchenette, bedroom and bathroom. The property includes garden duplex and allocated parking. CAPOLIVERI: centrally located, in one of the streets of the country, large apartment about 110 square meters on the first floor of two-storey building, with sea view. The property internally comprises: large living room, kitchen, two double bedrooms, two bathrooms, two balconies and storage room. Ground floor cellar of about 9 meters land and courtyard. CAPOLIVERI: all 'inside of quaint condominium complex, just steps from all amenities, in a quiet and convenient area, for sale studio apartment of about 50 square meters. The property consists of one room with kitchenette and sofa bed, loft and bathroom. Small garden and parking place. community pool. Great for income realized investment resulting from summer rentals thanks to the convenience, beauty and services of this property. 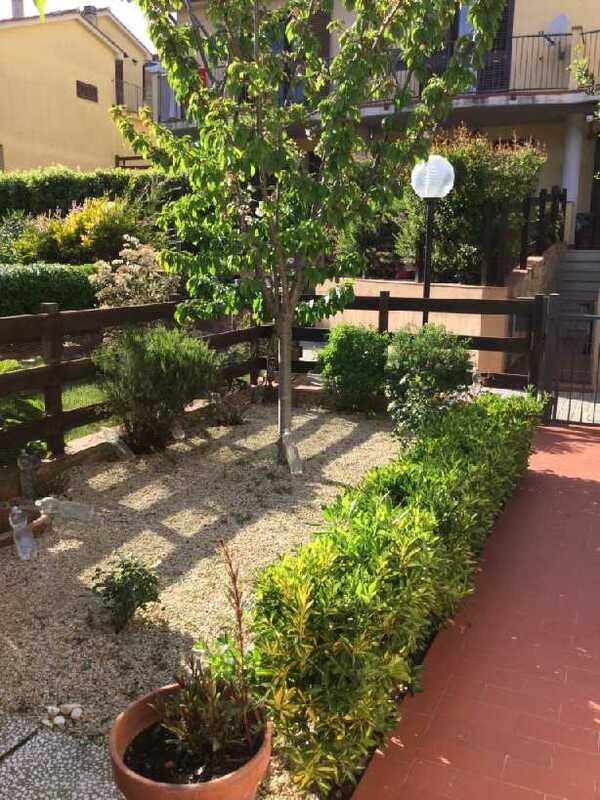 CAPOLIVERI: all 'inside of quaint condominium complex, just steps from all amenities, in a quiet and convenient area, for sale studio apartment of about 30 square meters. The property consists of one room with kitchenette and sofa bed, bathroom, small terrace and parking place. community pool. Great for income realized investment resulting from summer rentals thanks to the convenience, beauty and services of this property.